Cross and Cutlass: GIVEAWAY and Introducing Author, SUSAN LOHRER and her Fabulous Debut novel, Rocky Road!! 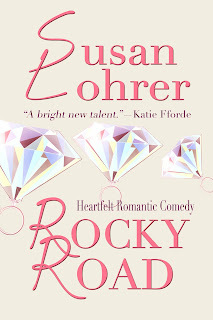 GIVEAWAY and Introducing Author, SUSAN LOHRER and her Fabulous Debut novel, Rocky Road!! I'm SO Excited. 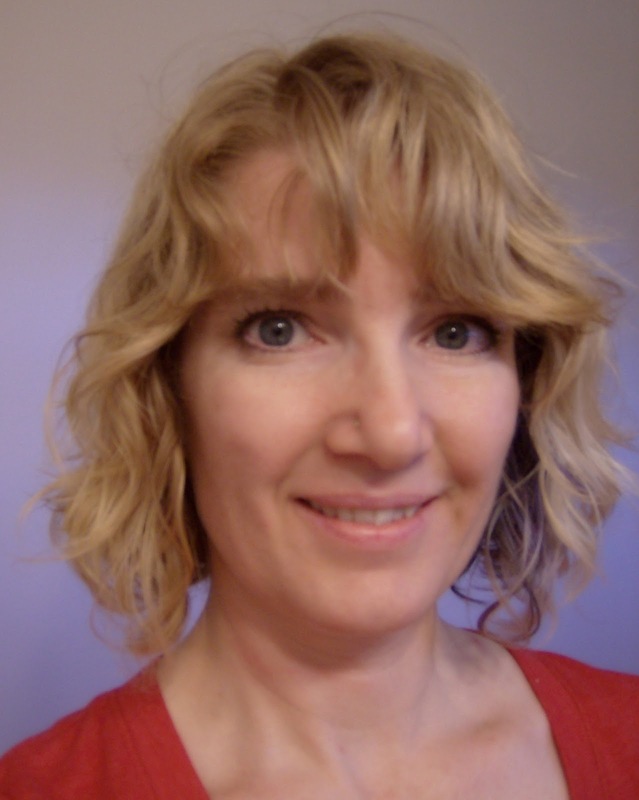 SO SO EXCITED to introduce to you today my good friend, my editor, and an incredible author, Susan Loher. Some of you may have heard her name before, or you may have heard me mention Susan. You see, Susan was the freelance editor I hired to edit my first, let me see, I think it was 5 books! Yup. This wonderful lady is responsible for me getting published! That's how I look at it anyway, because without her expertise (and kind, gentle heart), my books (which needed a lot of help!) would never have been picked up by any sane publisher. LOL. You can imagine my excitement when I discovered Susan is now a published author herself! Her debut novel, Rocky Road just released this month!!. 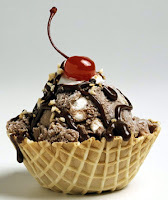 Today, Susan is generously giving away a signed copy of Rocky Road along with a $10 Baskin-Robbins gift card (good at participating Dunkin Donuts, too).!!! Here's a bit about Susan and her debut novel! MaryLu here! Let me add my endorsement to this book. I've only read the first chapter, but honestly, Susan is so funny, she had me howling. And believe me, I rarely howl. In fact, it takes a lot to get me to laugh at a book or movie. If you need an uplifting story that will put a smile on your face, this is the one! Hi, MaryLu, and thank you so much for having me on your blog. One of the characters in Rocky Road, Will, faces many challenges as a person who has autism. While Downs and autism are pretty much on opposite ends of the spectrum, the crazy mix of emotions inside anyone who cares about, well, anyone—but especially about a family member who has special needs—is exactly the same. Ancy, the heroine, faces her own set of unique challenges as a person who cares deeply about a family member who has autism. Do I shelter him? Protect him? Encourage him to do anything he wants to do? What if he fails? What if he succeeds? Every day, every decision, brings the question Am I making this choice for him… or to make things easier for myself? Do I have these same questions about my daughter? You bet I do. Every single day. As a mom, I’m vigilant about my daughter’s safety, yet I don’t want her to feel like a child with no freedom. This requires a delicate balance and the cooperation of a team of people. And sometimes even an entire team isn’t enough. For instance, my daughter wants to be able to go from the school to her bus without supervision, yet one day her younger brother had to make the driver stop a block away from the school to pick her up—because she decided to walk home (apparently she doesn’t quite get that we live twelve miles from town). And now she wants to get her driver’s license. What if she fails? What if she succeeds? Some teens with Downs have gotten their licenses. Imagine someone who’s developmentally seven years old, driving on public roads. Talk about a crazy mix of pride and terror in a mother’s heart! I’m still trying to figure out how to get through that particular challenge on humor alone. Does someone you love have special needs? Or has humor gotten you through many a day? Share your story in the comments! Where to buy the book!!! Anyway, please leave a comment below with your answer to Susan's question, or just to say Hi, (along with your Email) and you'll be entered in the contest. I'll announce the winners next week on Friday the 14th!! "Good morning - MaryLu and Susan". So nice to meet you Susan, and your book "Rocky Road" sounds terrific ! I so appreciated hearing about your challenges with raising a 'special needs' daughter ... my heart tells me that it can't be easy at all. One of my sons, has NOT been diagnosed with 'special needs', but I do believe he has mental and emotional needs. At times in the past, I 'might' have found some humour in his antics ... but as he is now a 32 year old, and living in another city (estranged from our family), I fear I am not finding any humour in the various situations he finds himself in ! Mostly, it is just plain and simple -- disheartening. Truly, I pray -- that God will protect him, and be "both" his 'Father, and, Mother' ! Thanks so much for sharing with us today, Susan. Loved hearing your story (the real-life one, and, about your book). Yes, please enter me into your contest. Thanks so much. I have worked with Special Olympics and have really appreciated the truths they see in the world. At times they are hilarious and I look forward to reading your book. I hear you! I have two kids older than my "special" daughter and one younger. Believe me, all four of them do their best to turn my hair gray (I combat this by dying it a gaudy bright blue). Our kids are their own people, and they'll learn from their experiences, it's just that most of the time it takes longer than we would like. Because they don't know everything like we do, right? (Right??? Hmm.) Maybe I should've added that my family gets by on humor and prayer, because goodness knows we've needed them in equal doses over the years. Hang in there, OK? Your son is God's son, too; and even though we don't really know everything, God knows a lot of stuff. In fact, he's probably making you and your son stronger, better people right this minute! Very interesting post. After teaching high school students for 25 years, I can't imagine being the parent of a teen with special needs. What a challenge! Your daughter sounds like she is a lot of fun. I know she is a joy. I'm sure your book is wonderful and I'd love to win a copy. Thank you for sharing. Haha, I love your relationship! Reminded me a lot of my best friend and me. My mom's sister was mentally disabled and so I grew up around it. I wish I could say I was more comfortable around them, but I just never know what to do or how to respond. I feel like I am going to break them. It is hard when your sister and mom are great with them and want you to join - yet you are a nervous wreck about it. That being said though I loved my Aunt dearly and miss her smiling face each day. Hello MaryLu and Susan! So nice to meet you Susan. Your book sounds very good and your daughter sounds like quite the character. I applaud anyone who was blessed with a special needs child and chooses to raise that child for God. Susan, I would love a chance to win your book. Sign me up! God bless. I don't have anybody close to me will special needs like this. Love humor in a book, I look forward to reading 'Rocky Road'. 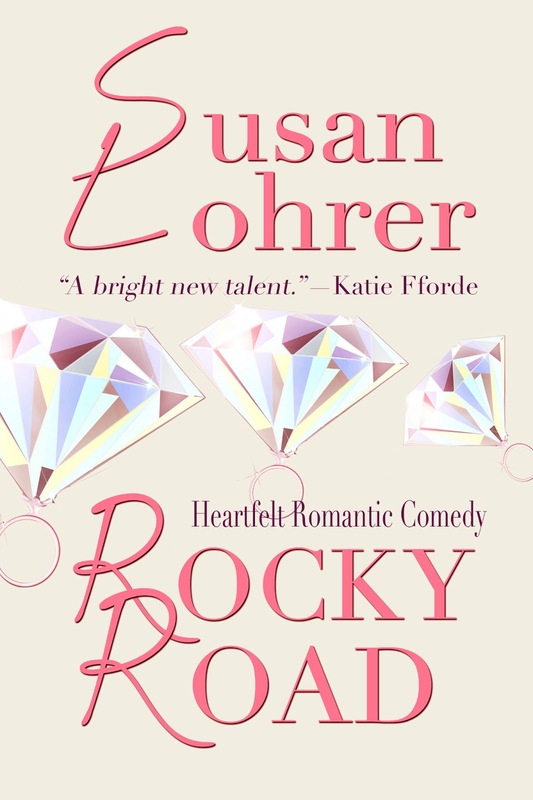 I look forward to reading Rocky Road, it looks wonderful, thank you for the chance to win! Happy Friday to you both! I don't deal with any special needs in my household, except for all the special needs we all have...lol. However, as a psychology major, I certainly can see the wisdom of learning to deal with any needs with humor, if possible. Would love to read this book. I lived in the Fraser Valley for a number of years, so find your place of residence most interesting! Sometimes people look at me like I'm crazy because of the odd moments I choose to crack a joke. Oh well! A smile does something chemical inside our brains, and it makes things a little better...eventually. Keep on laughing with your friends for me, OK? Well, Susan, you know I love your outlook on life. You have gotten me through a lot over the years. And it has been fun to see your daughter grow, virtually, over the years. And everyday that my kids roll their eyes at me I think "you're fired!" Thank you for that! Beautiful blog...and you know I LOVE THE BOOK!!! and you! Hey Susan and MaryLu , loved your review . I did have a niece that was deaf and bless her heart was the sweetest thing . Would have made a perfect nurse . She passed away last year and I miss her . Susan your book Rocky Road sounds so goos . Can' t wait't to read it . Would love to win the contest . Thanks and Blessings . 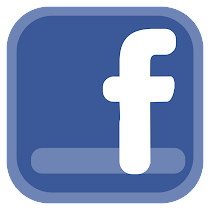 I've recently become disabled because of a medical error that causes serious complications. God and having a sense of humor is what will get through the problem. Thank you for sharing. Best. Publisher. Ever. :) I'm so happy, every day, that we met each other. Hi Susan, first, sounds like you have done a great job with your special daughter. God knew just who she needed as a mom! Second, congratulations on your new book! Sounds great! And third, thank you for all you have done to help Marylu. I have so enjoyed her books. Looking forward to getting to read your book in the future! Rocky Road sounds like a great book. I think it is fun to "meet" new authors. I work with special needs kids at an elementary school. This summer, I'm working once a week with some special needs middle school kids. It's kind of fun to work with older kids, though I'll be ready to go back to my "little" kids when school begins in August. We have to have humor to work with kids, whether they have special needs or not. Hi Everyone!!! Thanks so much for dropping by and entering to win Susan's new book. As you can tell from her responses to you, she's hands down the sweetest person on the planet! I was truly blessed to have her as my editor.. she's one of those people who when handed a pile of junk, not only finds something good to say about it, but transforms it into treasure. I hope that if you don't win, you'll run out and get her book. You won't regret it!!! I would love to read this book... sounds great! My hat is off to all mothers, especially mothers of children with Downs or autism or physical handicaps. This book looks so intriguing! HI to the both of you! I guess I would qualify as a special needs person. I have been in a wheelchair since I was 16 and was born with a neuromuscular disorder. There are also 5 others in my family with the same disorder. Although I have these issues I don't feel like I am really a special needs person. I just do some things a little differently. Humor is a must for day to day living and I love to laugh. Your book would be a real boost on those tough days. Thank you for the giveaway! I love reading books with humor and am exited to read Rocky Road! I have a nephew that has had speech problems all of his life, he's a teen now still with the problems but that doesn't stop this kid from having fun and being a comedian! He is a true blessing to all who knows him and keeps us smilin :) God bless!! Another reason to enjoy Rocky Road now. I love reading author debuts. It's exciting to be there from the very beginning. I wish you every success Susan. People who work with kids who have special needs have a special place in my heart. Thank you for everything you do! And yep: parenting, marriage, whatever the relationship, humor helps along the way. It was more of a diamond in the rough. ;) And I'm sure everybody knows you're the sweetest! On behalf of all the moms, thank you. It's harder sometimes... but sometimes it's not (I have four kids altogether, and they take turns being the easy-to-raise child). I love your attitude! One of my parents is physically disabled, and I grew up understanding there are lots of ways to get things done (and I do lots of things differently than a regular person would). Huzzah to you! Why, thank you for dropping by. I grew up in a very humorous, laugh at everything, type family. It's how we deal with the not so fun times in our lives. But, I am just like you, MaryLu, as in I do not normally laugh out loud at anything. :)(I find many things funny, smile and laugh inside) There are times I do and my hubby looks at me in awe because I did. lol So you sold me on this book if it made you do that! Hi, Susan. :) Your family sounds wonderful! Thank you for dropping by. Yes...2 sons have Reading Disabilities and ADHD. They are both awesome fellows and very talented & intelligent-trials but blessings! They have taught me much & God has used that to help others as well. I hope I am not too late in commenting or entering in. I don't know of anyone who is close to me that has special needs, but myself. I have a reading comprehension disability which ties into a learning disability and at a very young age I have and still have ADD. There are certain things I can read and I do read at a much slower pace, for something very complex for me, I would usually need an audio book. I am thankful for my audio bible where I can follow along and hear what is being said. On the side note, I am extremely well organized to where that gift has gotten me through much trails throughout my school and now. Tracy, I didn't know that about you! Thank you for sharing. It's interesting how a condition that might be looked at as negative also has a positive side.. because I, for one, know you are very organized! Thank you, MaryLu & Susan! Growing up I rarely read at all and if I did, it was mainly short stories with lots of pictures and very little wording or my mom would read to me when she had the time. I have tried so many times to read fiction novels and I would only get through the first chapter or a couple of pages into the second chapter and I would be lost in what is happening. Throughout grade school, I'd burn myself out just trying to get through schooling. I think that is where I learned to be very organized in getting what I need done, even if it was not nearly perfect or correct. College I'd get audio books and three times the extra time to get testing done. After high school I was invited to go to a book store, and I figured I'd just go along for the company. Well, walking around the book store a Christian Fantasy book perked my interest in wondering what it was all about. I read the back over carefully and flipped through the pages. It was a youth fantasy novel, and I'd figured why not just give it a shot to see if I can read through. I did read through it in one week is because I spent hours on end trying to get through it. I was quiet happy with myself because I understood about 75% or more of the book, which is quiet rare. 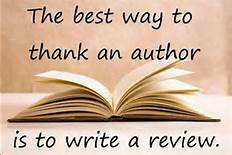 I love to read and I am very thankful with your novels MaryLu, because what you write in your novels keeps my interests going. I even heard from Chris that he figures I can read something that I know more about or have a real interest in. Like any scene on a tall ship, I clearly can picture it and understand what is going on (with growing up on a sailboat for over 20 years. Plus, since 2004 my ready skills have improved, but I still struggle reading other novels and books out there. So far with all your books, I have enjoyed. I love being organized and I find different creative ways of being organized. Also, when it comes to math, I exceed above average. My special educational teachers were quiet amazed with myself having the different learning problems, but when it came to being organized and working with math (other than math word problems) I blew there minds away. They have even told me, I was a good example to the other special needs students around that had similar or different problems. I'd even help the other special needs students with areas I could help with. Thank you. :) And thank you for dropping by. To make sure everything was official and done properly, I wrote everyone's name on a little piece of paper, put them all in a bowl, covered my husband's eyes with my hand, and got him to draw the names. He's good about doing stuff like that for me. Tracy, you won the autographed copy of Rocky Road! Elizabeth Dent, you won the Baskin Robbins gift card! Congratulations to you both, and I'll e-mail you shortly to get your mailing addresses.